Senator Murkowski Press Office Feb 10, 2019. 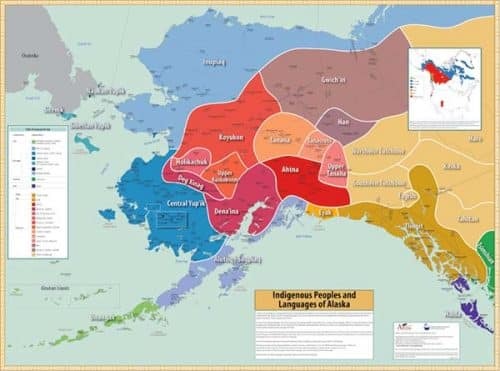 The Native Peoples and Languages of Alaska Map courtesy of Alaska Native Language Center. WASHINGTON, D.C. – The Senate Indian Affairs Committee last week unanimously advanced legislation to support Native American language revitalization programs for consideration by the full Senate. On January 29, 2019, U.S. Senator Lisa Murkowski, (R-AK) joined Senator Tom Udall (D-NM) in introducing the Esther Martinez Native American Languages Programs Reauthorization Act, to improve the grant program that funds a variety of language learning activities such as Native language immersion and language teacher training.